So this is the second time I ever cooked halloumi cheese, and the first time I have ever experimented with it. So this was a new experience for me. What do I think of halloumi cheese you may be asking but probably not? Well, I’m going to tell you anyway. Personally, I really like it but I can’t have too much of it otherwise I just get put off. So I keep my intake in moderation. However, I believe that it depends on the cheese lover because cheese has many personal preferences. I focused a lot of my attention towards getting a good balance of flavors, as the cheese has quite a salty vibe. So I thought the roasted peppers and fresh herbs were nice subtle flavors to go with it. This also allows the halloumi cheese to be the “hero” of the dish. As for the vinaigrette, I slightly tweaked the standard recipe by adding a bit more oil just to mellow out the flavor. Other than that, I wish you all a wonderful day. If you liked this recipe feel free to subscribe to the blog and/or my social media. Halloumi cheese could very well be an underrated ingredient. Grilling it and mixing it with other fresh ingredients makes for a wonderful treat. Put your red peppers in a baking tray, then add a glug of oil. Make sure the peppers are fully coated, then roast them in the oven until the skin darkens and loosens. Once the peppers are done, transfer to a bowl, then cover with cling film to steam for about 15 minutes (which will help loosen the skin). Peel, de-seed and quarter then roasted peppers (it doesn't have to be skinned perfectly, just make sure you take off loose areas). 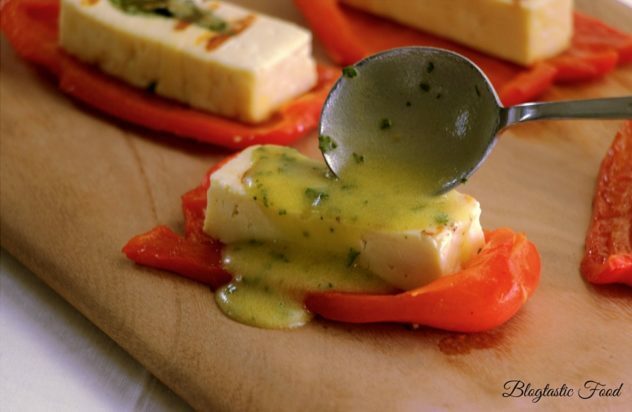 Lightly coat the halloumi cheese with olive oil, then firmly stick on one side of the halloumi cheese. Pre-heat a griddle or frying pan, and make sure it gets nice and hot. Grill the halloumi cheese (starting with the basil side down first) on both sides for about 2 minutes on each sides to achieve a nice colour. In a bowl, firmly whisk together the mustard, lemon juice and extra virgin olive oil until combined. Then stir in your parsley, salt and pepper. 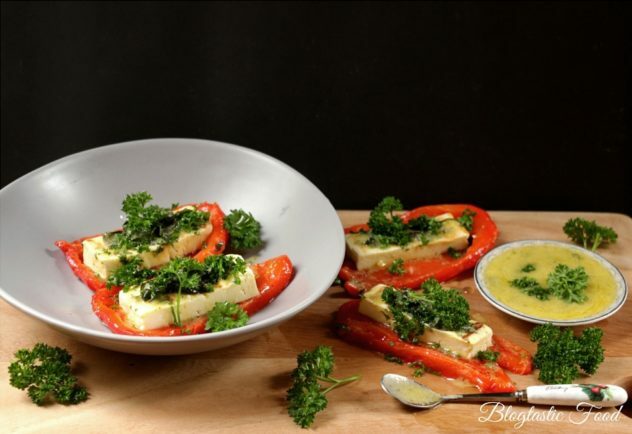 To assemble, place one slab of grilled halloumi cheese over one quarter of the roasted capsicum each, top with the vinaigrette and shredded basil then serve. 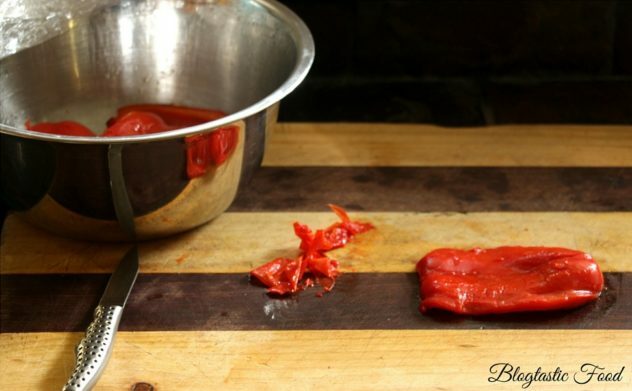 Make sure you remove at least most of the skin on the peppers as it can interfere with the dish. Haha wow awesome thanks! yes I was actually second guessing weather to post this recipe because it’s very new to me too. However everyone I served it to loved it. Let me know what you think of it because i’m intrigued to know peoples opinions. 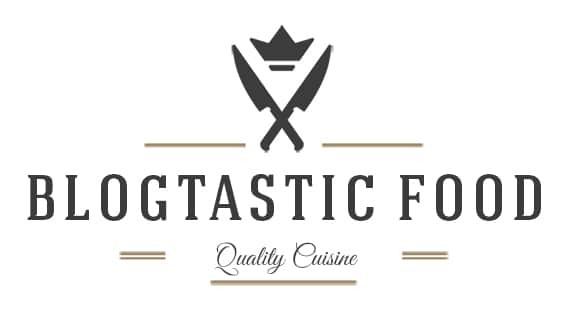 As a self taught home cook, I enjoy reading blogs by people who culinary training to get ideas and inspiration on how to make my own cooking better and to learn plating and other culinary techniques. I’ve yet to try halloumi cheese though a number of people whose blogs I follow have used it in their cooking. I look forward to attempting a dish with it in the future. I’m looking forward to checking out other posts you’ve made and the recipes there. Haha I suppose it’s just that your use to it where as I have only been around snow once in my life so it’s more of an experience for me. 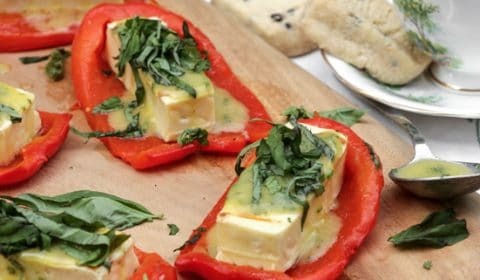 Love the idea of serving the cheese inside red peppers! 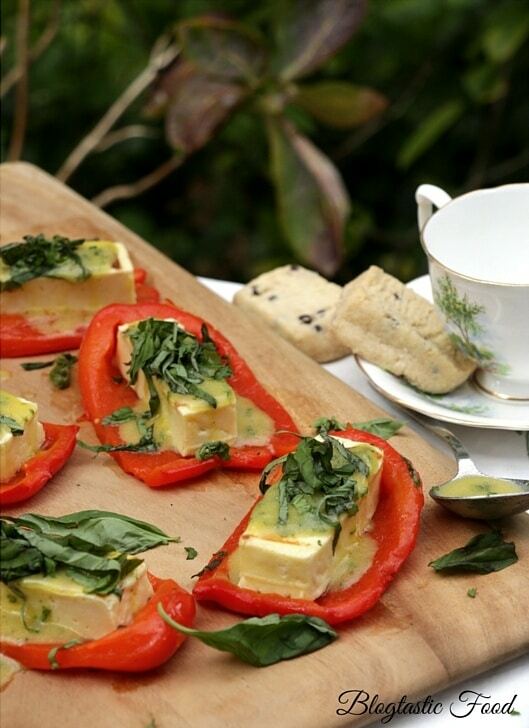 Love holloumi cheese and grilled capsicum. What an amazing combination for flavour. Thank you. I just discovered halloumi and love it! I was looking around for recipes with this cheese and this is a great one:) Thanks for sharing! Halloumi is one of my all time favourite things on this planet – haha. It’s my one vice. That and bread… and avocado… and noodles…okay, so I love just love food in general. Haha. Anyhow, I saw the word halloumi and just had to check the recipe out!